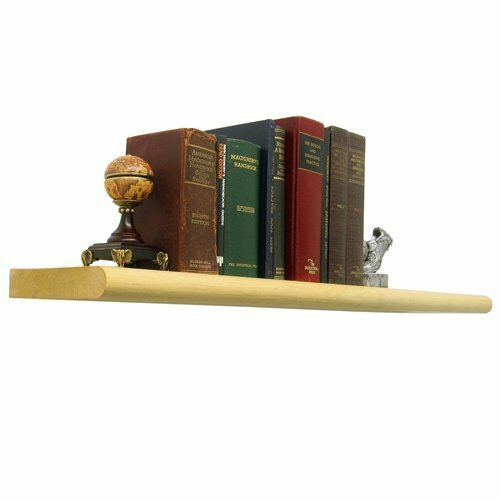 Add some decorative flare and wonder to a room using these concealed shelf supports. They create the illusion that a shelf is floating and the lack of visible hardware supporting the shelf grants you a wider range of visual variety and options. These invisible shelf brackets are made of sturdy metal and have alloy steel coupling screws to ensure they maintain tension between the posts and the inserts in the plates. This gives you an impressive capacity of 50lbs for an 8" deep shelf that's 34" or less long. (The support capacity is higher for shallower shelves.) If you need a longer shelf just add additional supports. Try adding some much needed storage or staging space to your living room, bathroom, kitchen, bedroom or office. The blind shelves include the brackets and supports you'll need and you just need to provide the space, screws and the shelf. The shelf must be at least 1" thick or not less than 1- 1/8" in order to fully conceal the baseplates. Anthing thicker than 1-1/4" will make a needlessly heavy ( and load robbing) shelf. If you have any questions about this product by Rockler, contact us by completing and submitting the form below. If you are looking for a specif part number, please include it with your message.